In real estate, as you might have heard, location is everything. It’s relatively straightforward to figure out which neighborhood in a particular town is the right location, location, location for your needs - schools, character, proximity to amenities and things like crime rates and commutabilityrender a given neighborhood more or less of a good fit for a given home owner. Interestingly enough, Kolko went on, “rising prices were not included as part of our definition of healthy local housing markets. Many of the markets with the largest price gains in 2012 were rebounding from huge price declines during the bust, but they still have weak fundamentals, such as high vacancy rates, large foreclosure inventories, or slow job growth. For instance, Las Vegas and Phoenix both have high vacancy rates and large foreclosure inventories going into 2013, despite having year-over-year asking-price increases of 14% and 27%, respectively, according to the November Trulia Price Monitor. And Detroit has a sky-high vacancy rate and is suffering job losses, even though asking prices in Detroit rose 10% year-over-year." And he didn’t stop there - Kolko went on to call out a whole list of what will be IN and OUT in real estate in 2013. Get up to speed on this year's predictions, here. North Central Flip! This charming property with curb appeal has the potential to be a very profitable investment. It has a huge family area, spacious kitchen, covered patio and a bonus storage building in the back yard. With a rehab budget of 20K you should be able to bring this home to top market value and sell quickly. Call your New Western agent today and schedule a showing right away. 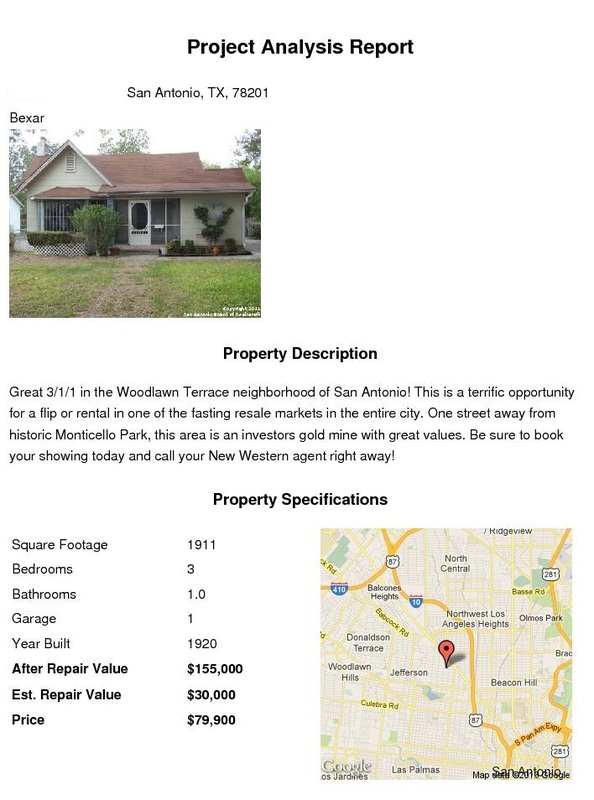 Ryan Harthan at 210-710-1617! 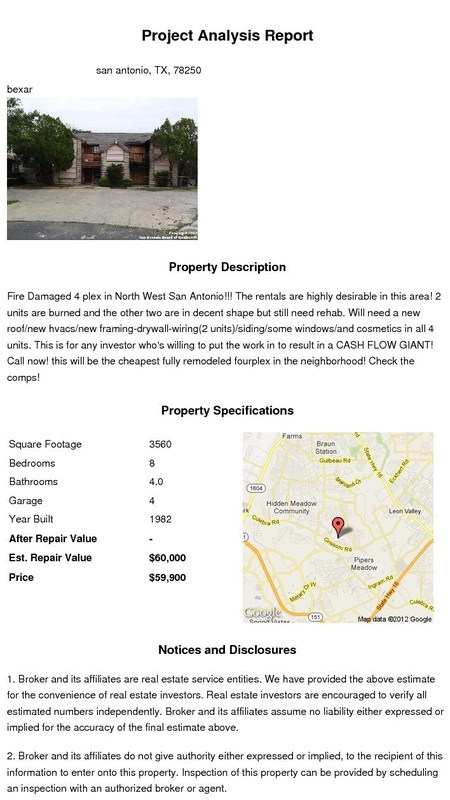 Fire Damaged 4 plex in North West San Antonio!!! The rentals are highly desirable in this area! 2 units are burned and the other two are in decent shape but still need rehab. Will need a new roof/new hvacs/new framing-drywall-wiring(2 units)/siding/some windows/and cosmetics in all 4 units. This is for any investor who's willing to put the work in to result in a CASH FLOW GIANT! Call now! this will be the cheapest fully remodeled fourplex in the neighborhood! Check the comps! Contact Ryan Harthan at 210-710-1617 for more information! 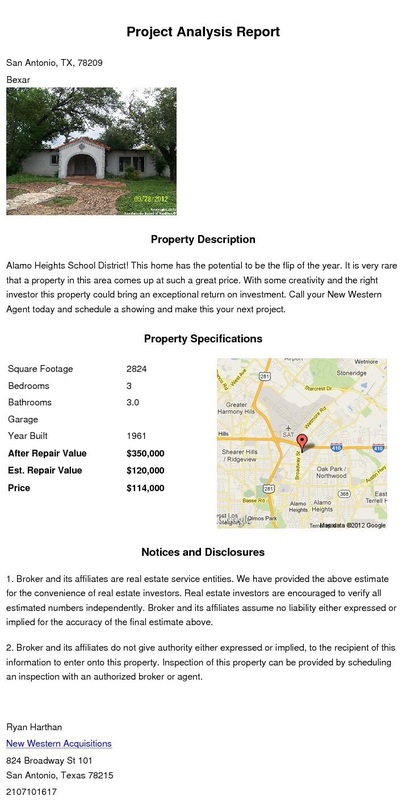 Alamo Heights School District! This home has the potential to be the flip of the year. 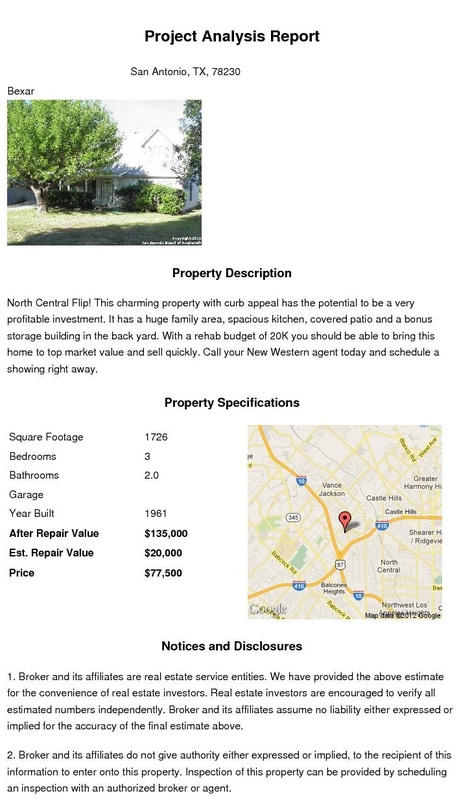 It is very rare that a property in this area comes up at such a great price. With some creativity and the right investor this property could bring an exceptional return on investment. Call your New Western Agent today and schedule a showing and make this your next project! The following information was taken off of Zillows website about the accuracy of their valuation in different markets. Texas is a non disclosure state, meaning that the sales prices for real estate are not recorded as public information. 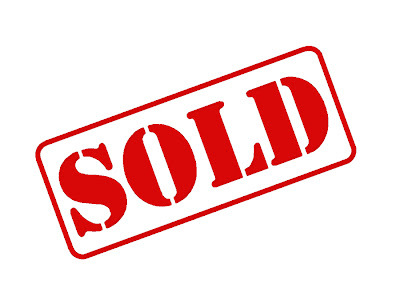 Each individual municipalities board of Realtors® keeps track of the actual sales prices of real estate and to gain access you must not only be a licensed real estate broker in the state of Texas but additionally a due paying member of the local board of Realtors®. In order for a real estate broker to provide a non-licensee with specific MLS data there must be a written working relationship between the two parties. 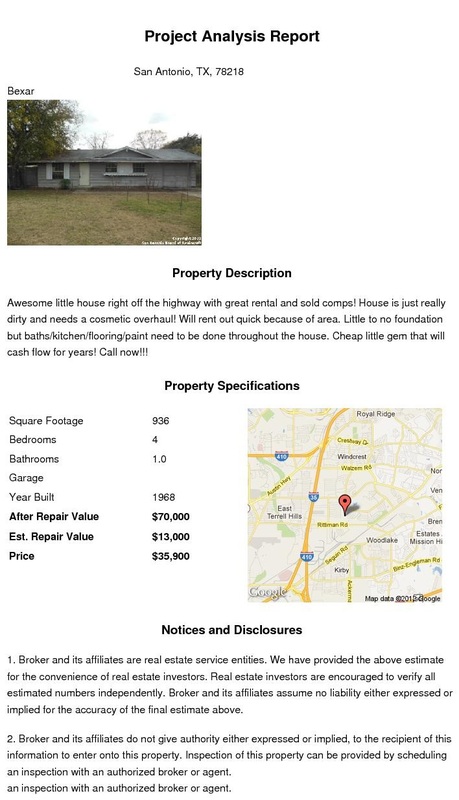 To sum this article up, Zillow has no idea what the value of real estate is in Texas. San Antonio has a one star accuracy, Houston one, Dallas two. To try and make educated opinions based on these figures is completely ridiculous.